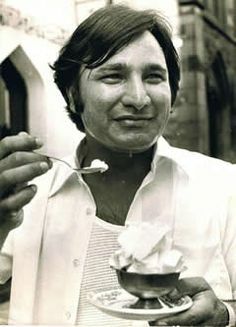 Ali Ahmed Aslam first concocted the curry dish Tikka Masala in 1970 in Scotland. A British gentleman sometime around 1970 in the Shish Mahal restaurant in Glasgow Scotland, found his Chicken Tikka was too dry and requested some gravy or sauce with it. The chef, using inspiration tossed in a can of Scottish Campbell’s tomato soup, sprinkled on some Masala (Hindi meaning spices) and mixed in some yogurt to the dish. This is contended by a few chefs. During the Raj Indian chefs cooked for British officers and soldiers who found the style of cooking lacked a sauce. 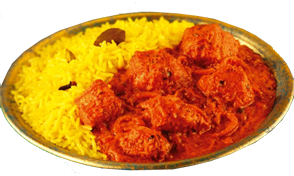 They argue Chicken Tikka Masala originated in British India where a spicy Indian dish was toned down and a sauce added to suit British palates used to having gravy with their meal. The first documented recipe for Currey (Curry) was published in ‘Art of Cookery’ by Hannah Glasse, 1747 in England.